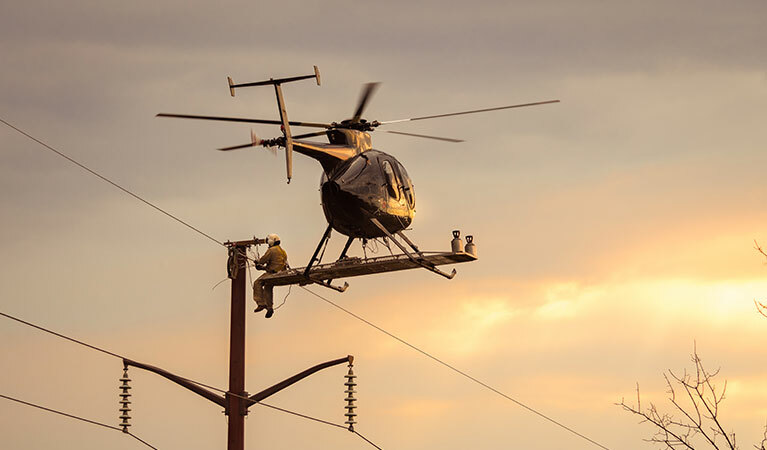 FairLifts, working with a global network of helicopter operators, schedules timely and cost-effective transmission line construction solutions in remote and rugged areas of Maryland with limited environmental impact. Among the professional services provided, clients will find structure and pole placement, transport of vehicles, equipment, concrete and matting, structure framing, including changing cross-arms or davit arms and installing x-braces, knee braces and v-braces, hanging insulators and stringing blocks, pulling sock line, hard line, optical ground wire (OPGW) and shield wire, installing spacers, marker balls, bird discouragers and anti-galloping devices, and post-construction inspection services. Additional solutions include unclipping wire and hanging and stringing blocks, including tangent, angle and double dead-end structures, cutting out or covering shield wire sleeves and other shield wire repairs, clipping in conductors and overhead wires and removing stringing blocks, including tangent, angle and double dead-end structures, cutting out conductor sleeves and installing double socks, and installing optical ground wire (OPGW). Maryland hosts a number of leading energy companies and services. The state's Dominion Cove Point Terminal on the Chesapeake Bay is the second national operating liquefied natural gas export terminal, and the state’s nuclear power plant, the Calvert Cliffs power station, supplied 44% of the Maryland's net electricity. In terms of renewable energy resources, hydroelectric power and utility-scale solar photovoltaic generation, accounted for 10% of the state's total net electricity generation. Also, Baltimore is the nation’s second-largest coal exporting port after Norfolk, Virginia, and coal exports from Baltimore reached record highs last year. Nearly one-fifth of national coal exports left through the port. 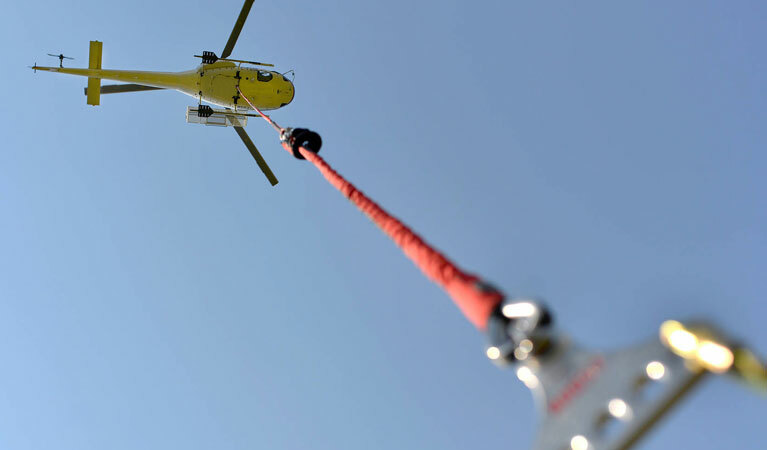 Working with a global network of helicopter survey operators, FairLifts schedules transmission line construction solutions, providing expert operators for superior transmission line construction solutions to industries in Maryland. FairLifts offers also a number of additional services, such as work crew and equipment transport to offshore or remote sites, as well as heavy lifts for hardware and machinery. FairLifts schedules heavy lift helicopters capable of carrying over 9,000 lbs, more than sufficient for all types of construction projects or lift operations. Our network of partners guarantee safety standards and cost-efficient solutions in order to keep projects on track. Lift services include light to heavy and aerial crane services for the transport and placement of elements with limited environmental impact. FairLifts schedules helicopter wire stringing solutions as well as the installation of primary conductors onto the transmission line structures, including the installation of conductors, ground wire, insulators, stringing sheaves, rollers or travelers, vibration dampeners, weights, suspension and dead-end hardware assemblies along the entire the project. 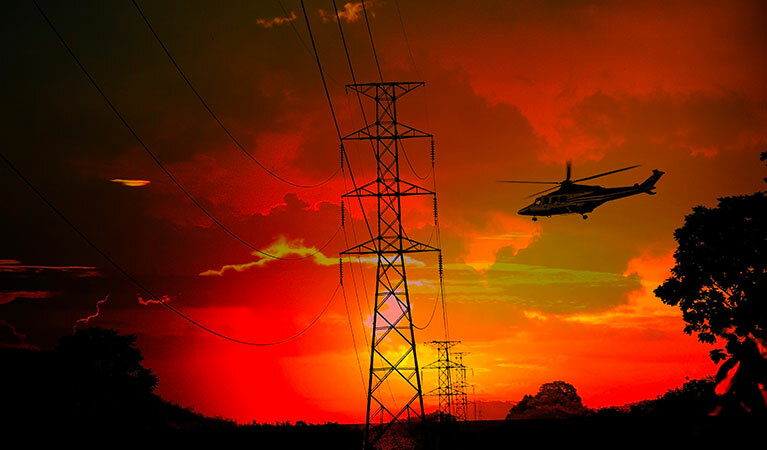 FairLifts arranges helicopter ROW and site inspection of power transmission lines through infrared thermographic inspection of power lines, accurately and affordably pinpointing transmission line inconsistencies. Additional inspection services include corona measurement with new generation technology to detect corona interference in high-voltage transmission lines. FairLifts experienced customer service agents are available 24/7 to provide a variety of Maryland Transmission Line Construction solutions. 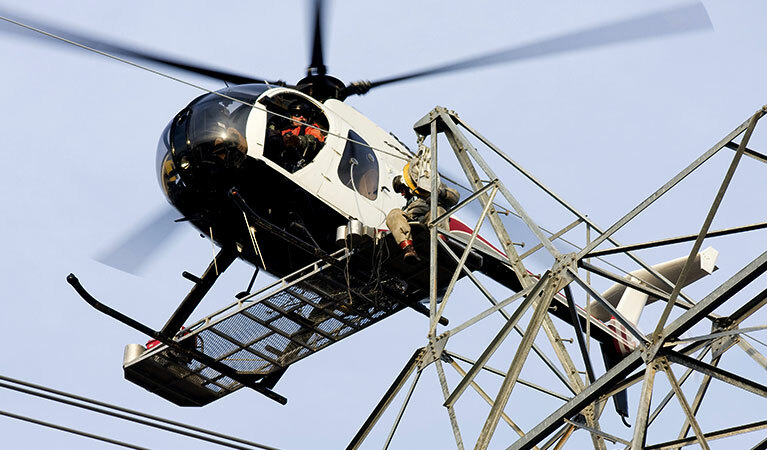 A global network of experienced and specialized transmission and lineman operation helicopter operators ensure dependable, affordable and safe service solutions for all transmission line construction needs.